The one page that often seems to be forgotten in the optimization of eCommerce sites is the shop category page. We see this very often: category pages just don’t get the love they deserve. In this article, I’d like to break down the elements of a perfect category page. The shop category page should first be treated as a normal page you want to optimize for a particular keyword. In this case, that focus keyword is the category name itself. If your online shop has little categories, chances are these categories will be rather general. I’d still optimize the page for that general keyword. The thing you want to do is to add more related pages, focused on for instance related long tail keywords on your site and in your blog. On the shop category page itself, write an inviting, optimized introduction for the chosen keyword. What people often forget is that this ‘introduction’ could be split up into an enticing paragraph that is located above your list of products and continued right below the list. 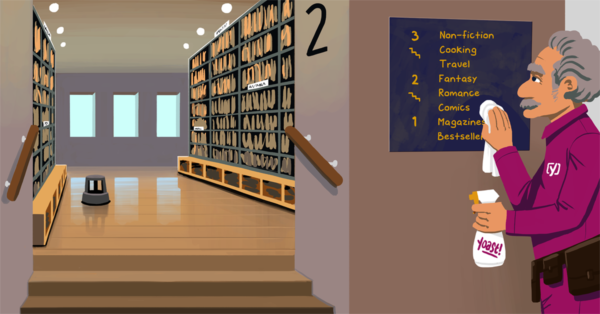 This, of course, depends on the theme you’re using for your shop (or your development skills). Google seems to prefer at least some kind of textual introduction above your products list. But please feel free to elaborate (a lot) below that list. In the introduction, you should also include links to other sections of your website. 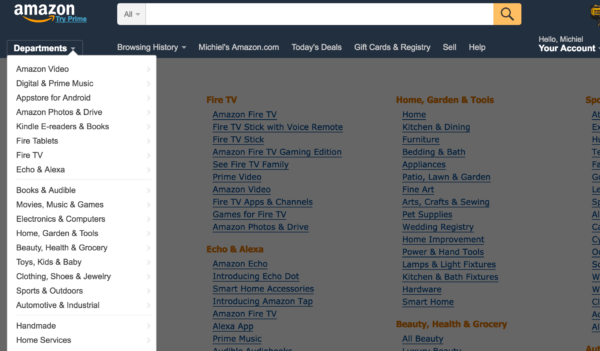 That can be related shop categories pages or specific landing pages. Anything to make your visitors and Google find the right products. Moleskine incorporated the main categories in the main menu of their shop. On click, there is also a subcategory list, as you can see on the left in the image above. The main section of your category page is, of course, the entire list of products in that category. It’s like the excerpts on your blog but narrowed down to just a few product details. These details combined need to entice the visitor to click to that particular product page. Let’s go over these details. It will make for an entire page of calls-to-action, but I guess that is better than no clue at all. You obviously want to place that call-to-action near (or containing) the price of the product. This screenshot clearly shows that you sometimes just can’t fix that image, or it’s just too much hassle to optimize thousands of images that come from manufacturer catalogs. In that case, it is vital to show differences between these images immediately. This is where the product title comes in. 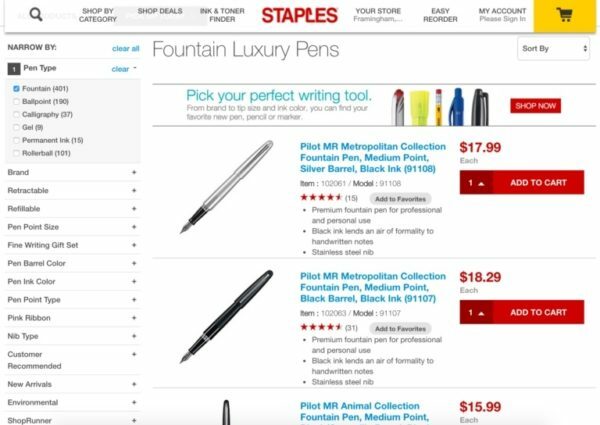 Including that SKU in the product title, will help people finding that precise product page in Google. 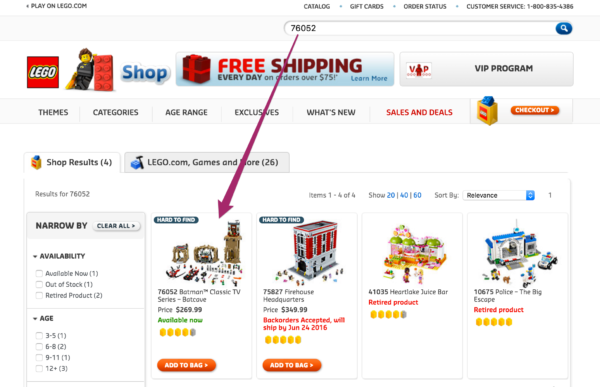 In the screenshot of LEGO.com above, there is another element I like to see on a shop category page: availability. LEGO does a great job on this. Which makes sense as their shop also lists ‘retired products’. By adding a green ‘in stock’ text or a red ‘out of stock’, or even an enthusiastic ‘available from June 1st’ (add to wish list to receive a notification), you can help the decision process for a visitor. On a more general note, another thing to decide is whether to use a list or grid view. There are things to say for both variations. A grid view allows for more products per page (which is easier to scan) and list views allow for more product details. You could also add a convenient switch so that the visitors can decide for themselves. If you have to choose, do test what works best. Please allow for proper whitespace (top-bottom and left-right) between products. I do like the Moleskine category page when it comes to that. I tried to highlight the most important decisions above. 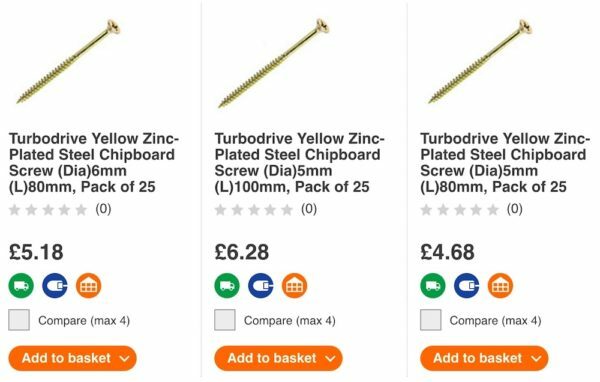 I’m sure you can think of more elements that need to be on that shop category page. Please leave these in the comments; I’d love to hear your two cents on this subject! Time to optimize my store again :) I originally removed the “Add To Cart” button as I personally thought it added “clutter” but I guess it’s time to do some A/B testing with and without it now. Thanks for the post! Michiel, for each category page I need to create a category in WordPress Dashboard? Thank you very much. That depends a lot on the shopping plugin you’re using. For WooCommerce each category by default has it’s own category page.